Assistance dogs support people with a variety of disabilities wherever they go, such as in banks, offices, restaurants, and libraries, but how many have you seen riding with their owner in a taxi or minicab? Unfortunately it is not unusual for taxi drivers to refuse access to assistance dogs leaving the owner on the pavement feeling angry, humiliated and stranded. However, to do so they are breaking the law, the Equalities Act 2010 to be more precise, or in Northern Ireland, the Disabilities Discrimination Act 1995. Despite protests from the owners that the driver is obliged to take them both as a legitimate fare, drivers will often cite various reasons why they won’t take the assistance dog: health reasons, not wanting dog hair in their car, they don’t carry dogs, the animals will make their car dirty, phobias as well as on religious grounds. 44% of guide dog owners who had experienced at least one access refusal within the last year found that taxi refusals were the most frequent. None of these are valid reasons and suggests a lack of understanding of the law and of the training and role of assistance dogs. Drivers may only refuse to carry a dog if they are allergic to them and they are obliged to display a medical exemption certificate from their GP to prove this. Yet to refuse could land the driver in court with a fine up to £1000 and worse still, have their licence revoked by their licensing authority.Ignorance of the law is no excuse either. It could mean the difference between having a business and having to change business because you don’t have permission to have one any more. While 25 per cent said they did not want them in their restaurants because either they or their customers did not like dogs. 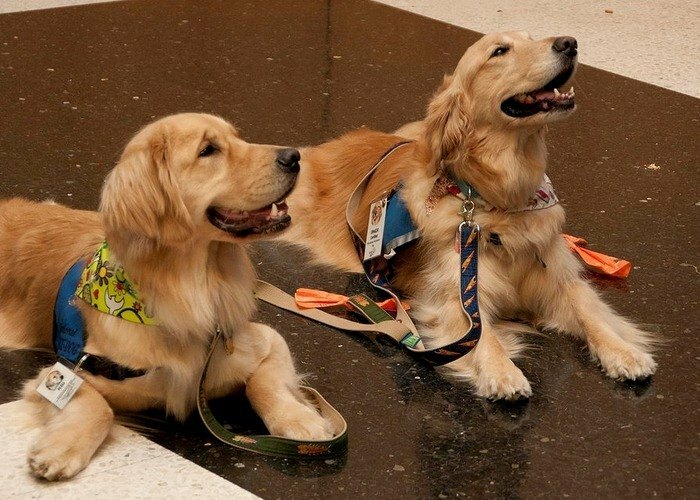 Assistance dogs play a crucial role in the life of a person with disabilities, enabling them to work, socialize and enjoy a higher level of independence than without one. These highly trained companions provide their owners with a gateway into ordinary life and to be part of mainstream society. When that is denied, the person is left feeling vulnerable, frustrated and often isolated. Their disability is then felt even more keenly and for some this has compromised their self confidence and led to feelings of despair and depression. “Access refusals make me feel awful. Very much like a second class citizen who is not wanted by society no matter who or what the business is. It’s as if we should be stuck away and never seen again. I absolutely abhor the feeling of being useless and made to feel inadequate.”Guide Dog owner, Hove. Taxi firms and minicab companies, along with other business owners need to understand that these assistance dogs are highly trained working dogs and not pets. They are trained to guide someone who is blind, deaf, epileptic or suffers a condition which affects their mobility. They are not ‘therapy dogs’ either. Those fulfill a different function altogether. All professionally trained assistance dogs are part of Assistance Dogs UK, an umbrella organisation representing seven different canine assistance charities. These dogs are identifiable by the coloured jacket they wear, indicating the support they give which can vary according to their training. Whilst awareness of the role of assistance dogs is growing there still needs to be greater education for business owners and the public at large. Judging by the problems many people still experience on a daily basis, we still have a way to go before these special canine partners become an accepted part of mainstream life.